Look familiar? It should. 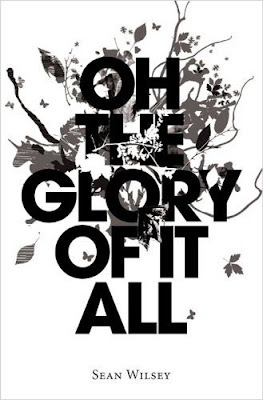 Pat Montandon's son is the author of Oh The Glory Of It All, which sports one of the finest covers in recent years. Time for us to do some detective work, though. Glory was designed by Non-Format; Nic Taylor is listed as the designer of Hell. As far as I know, there's no connection between the two. Oh what the hell is going on? 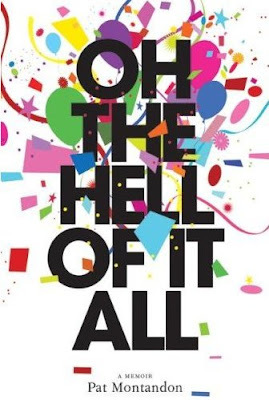 'Oh The Hell of It All' is written by Pat Mantandon, the mother of Sean Wisely (author of The Glory of It All) and is a reaction to her portrayal in her son's book. Any reason the type is not centered on Hell? The type *is* screwy on Hell. It also doesn't have the nice shape that the words of the title form on Glory. If you are going to rip someone off, you should do it as well as they did. I know this isn't a book, but I would like to note another copycat of Oh the Glory of it All - Matt Pond PA's new album Last Light.